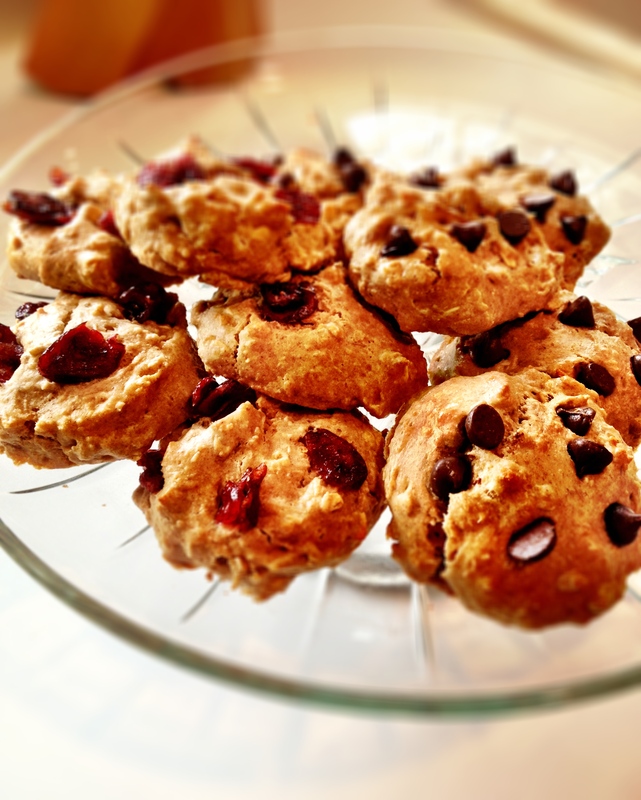 This is a great snack full of protein…and as a bonus they kinda taste like cookie dough ;). You can use Chocolate or Vanilla protein powder for this recipe, either one will do the trick. In a large bowl mix together the almond butter, honey, almond milk and vanilla extract. Add in the protein powder and mix well. 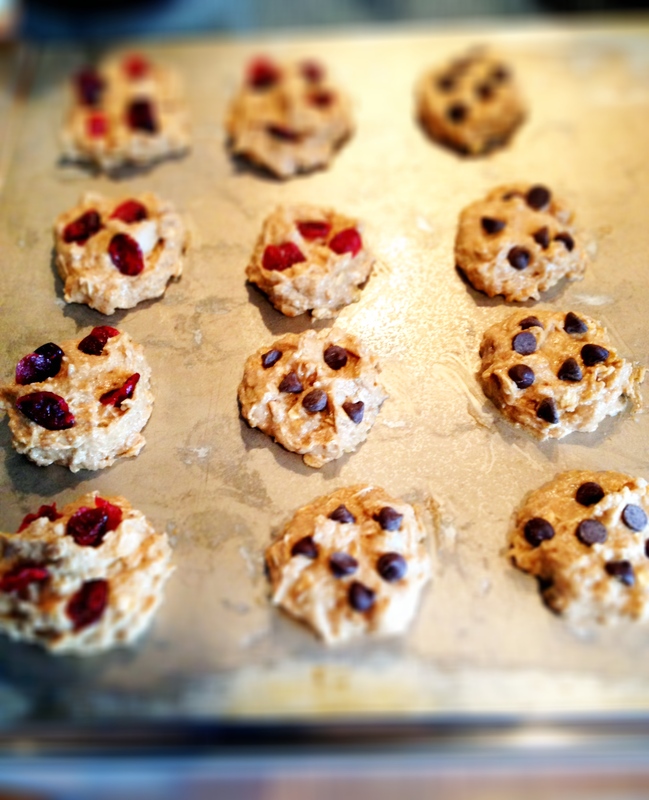 Add in the oats, coconut, chocolate chips and currants. If mixture is dry splash in some more almond milk, or if too liquidy sprinkle in some more protein powder until desired consistency. Mix well and shape into balls. Place balls on a cookie sheet covered with wax paper and let set in the refrigerator for about 20 minutes. 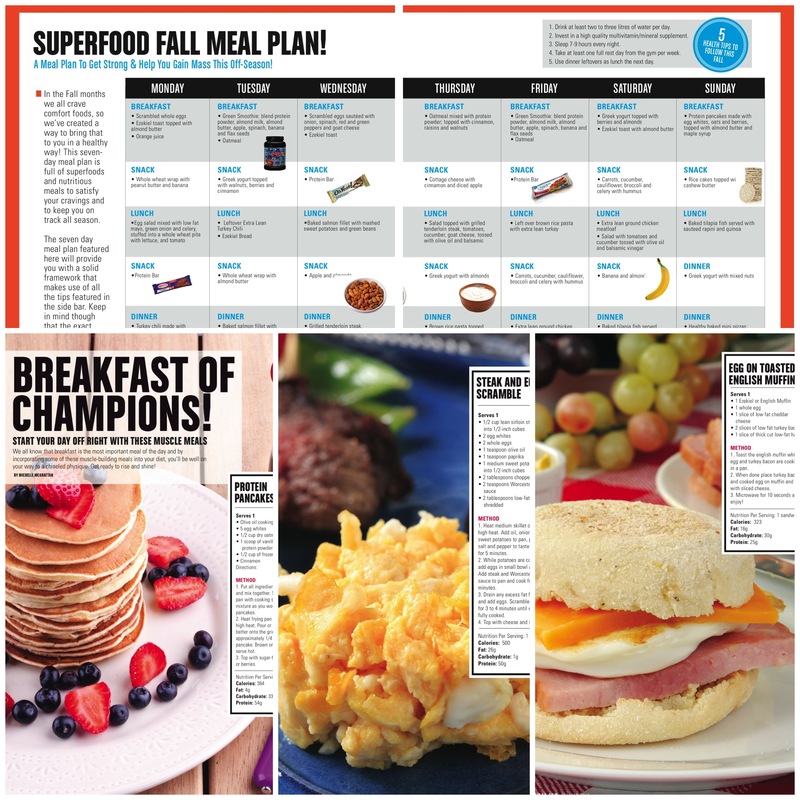 When I first started on my fitness journey I obtained a lot of my information from reading a ton of fitness magazines. From health, fitness, training and meal plans, you are always sure to find some amazing tips and trends that you can add to your daily routine. Happy Thanksgiving to all of my American friends! We already had ours back in October but we don’t mind celebrating a second time around. Brian and I are heading to Opryland Hotel tonight for Thanksgiving dinner with his parents Cathy & Tom who are visiting for the weekend….can’t wait! 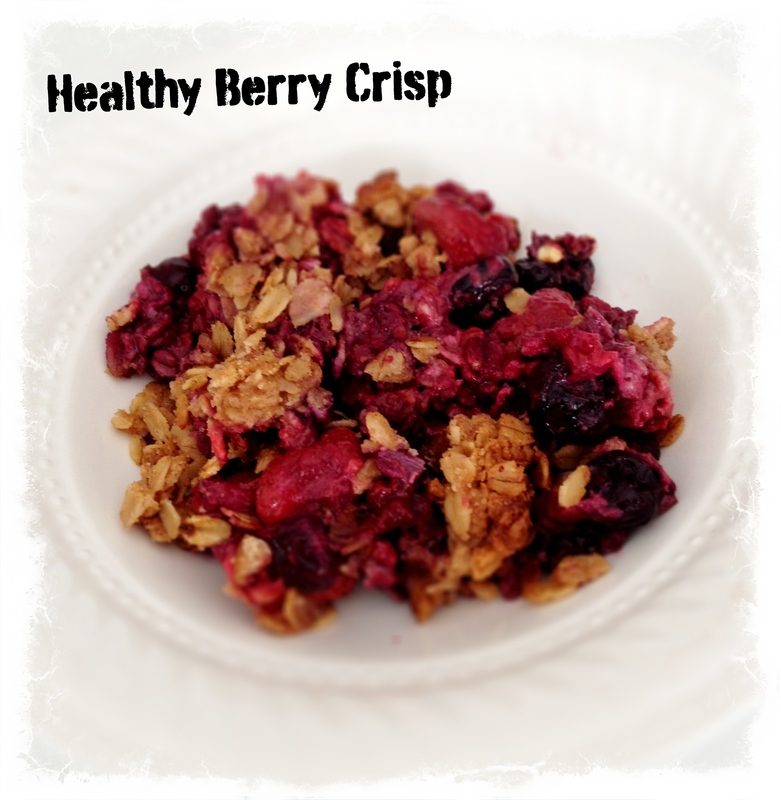 This Berry Crisp is perfect for the holidays or for a dinner party. Super easy, healthy and delicious. I made this last night for the in-laws, needless to say everyone had seconds. This recipe is the bomb! Preheat oven to 375 degrees F. In a large bowl, combine frozen berries, raw honey and 1/4 cup of flour and blend well. Transfer the berry mix into a 9×13 inch glass dish. Combine the oats, 1 cup of flour, brown sugar and cinnamon. Add in the butter and rub in with your fingertips until it’s all mixed in and clumpy. Mix in chopped pecans. 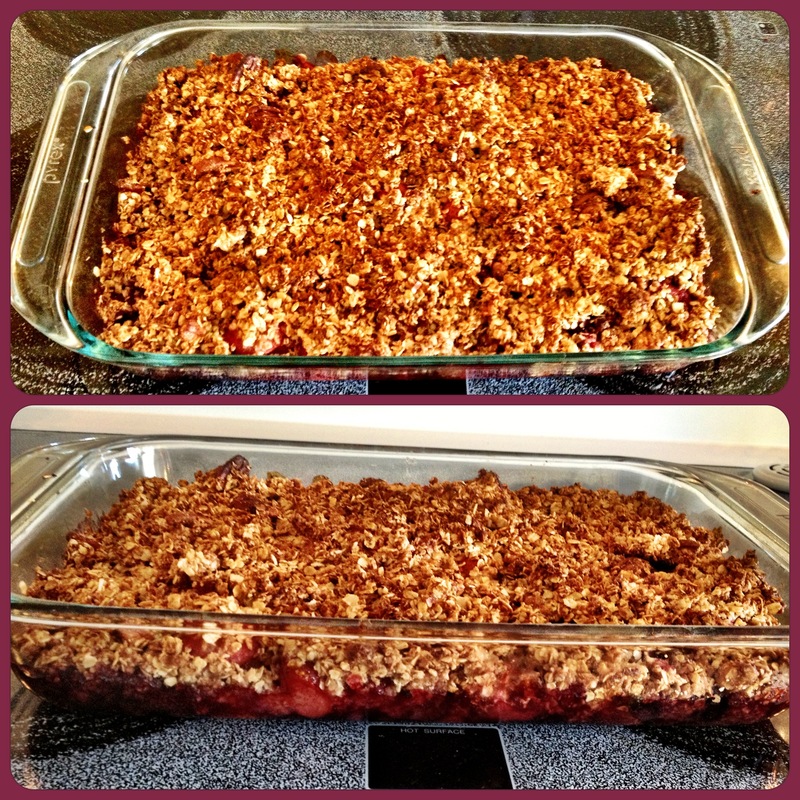 Sprinkle the oat mixture over the berries and bake for about 1 hour, berry mixture will bubble and the top will be golden brown. Let it stand for 15 minutes, and serve warm with some Almond Milk ice cream or Greek Yogurt. Happy Sunday! This recipe is a great low carb alternative to the most popular Italian dish. 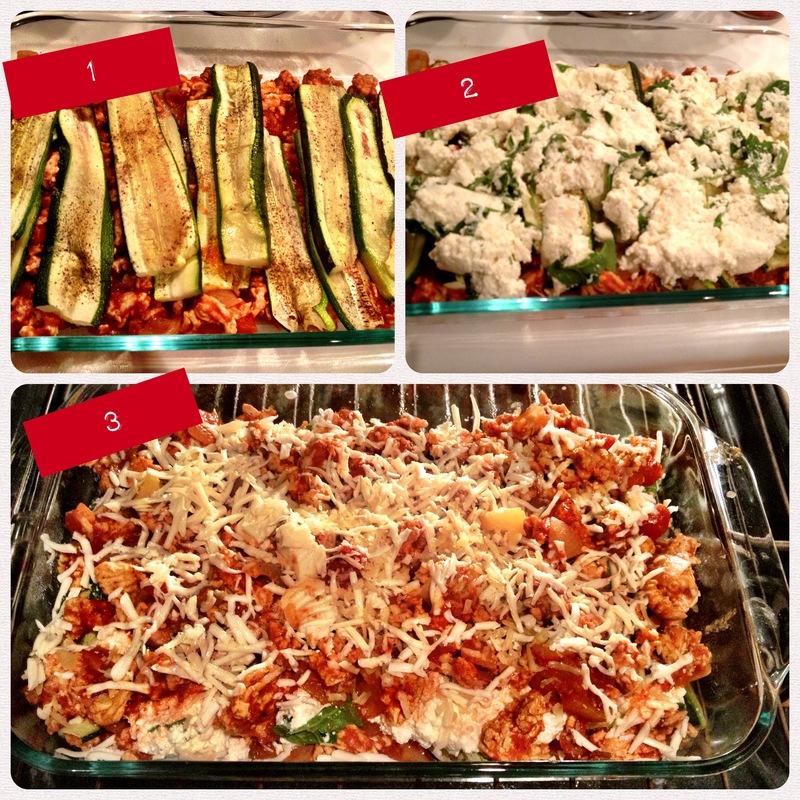 By replacing lasagna noodles with zucchini slices you can enjoy this meal without the guilt, carbs and gluten. 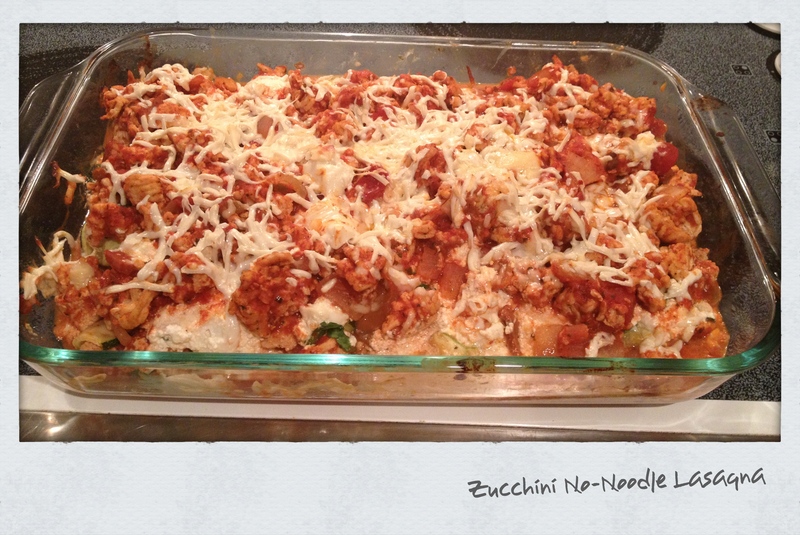 I make this dish quite often and just recently made it for a dinner party with our friends in Nashville…Zucchini Lasagna for the girls and I made a regular Lasagna for the boys. Although a few of the boys had some of ours and loved it 🙂 This recipe is a big hit! Slice zucchini into 1/8′ slices, salt them and set aside for about 10 minutes. (This takes out a lot of the excess water). When done, blot the moisture from the slices with a paper towel. In a medium sauce pan add olive oil, turn to medium heat and add the garlic and onions. Saute until translucent. Add in the ground meat, season with salt and pepper and cook until browned. Add in the pasta sauce and simmer on low until thickened, about 10-15 minutes. Meanwhile, grill or broil zucchini about 5 minutes per side, and pat with paper towel to get rid of any more moisture. In a medium bowl mix the ricotta, 1/4 cup of the parmesan cheese, egg, spinach, basil and salt & pepper. To assemble lasagna, in a 9 x 12 dish spread some of the meat sauce into the bottom pan. Then layer with zucchini slices, 1/2 the ricotta mixture then 1/2 the mozzarella cheese. Repeat by layering the with meat sauce, zucchini slices, ricotta mixture, mozzarella and top with zucchini slices. Spread on top the remaining meat sauce, Parmesan cheese and 1/2 cup of mozzarella evenly over the top; cover with foil. Bake 45 minutes covered, then increase heat to 375 degrees F and bake uncovered for 15 minutes. Let it stand for about 10 minutes before serving. Happy Sunday! We just arrived home from the Smoky Mountains in TN. We rented a cabin in the mountains and spent Saturday at the National Park, hiked the mountains, saw some bears and deer and some of the most breathtaking views! What an incredible weekend getaway…I definitely recommend going. Since I haven’t made my trip to Whole Foods yet, I used what I had in the house and whipped up these yummy cookies for Brian (who is already glued to the couch for Football Sunday). These are great for a quick morning breakfast/snack on their own or with a protein shake. 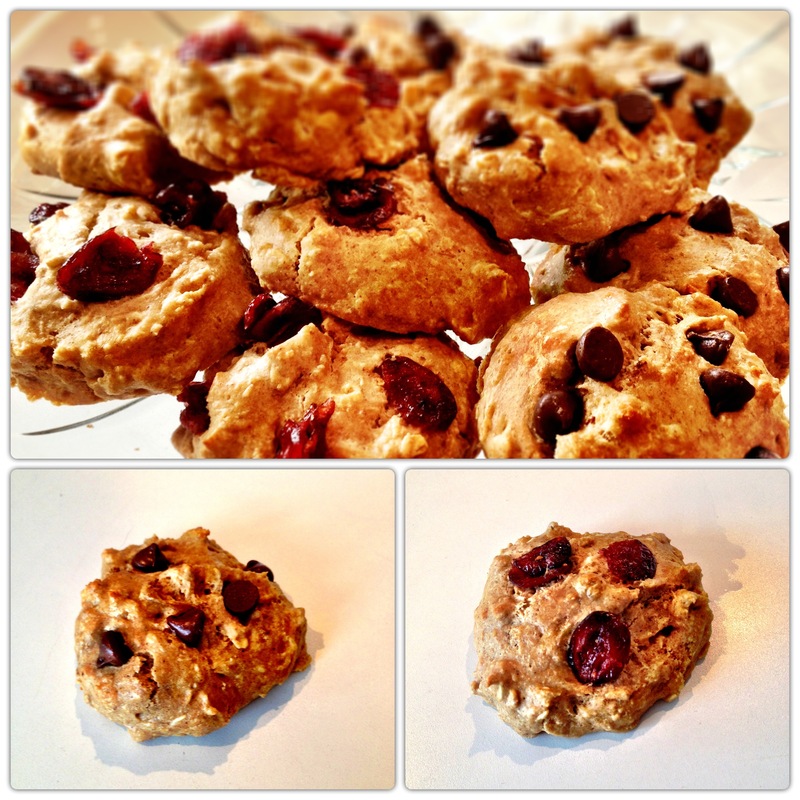 My batch came out to 12 cookies about 112 calories each, 3.5 g of fat, 11 carbs and 9 grams of protein. This will vary depending on what you add into the mix. Enjoy! Preheat oven to 350 degrees F. Spray cookie sheet with olive oil or coconut oil spray. Mix flour, oats, protein powder, baking soda, cinnamon and shredded coconut together in a large bowl. Whisk together eggs, mashed banana, vanilla, coconut oil and almond butter in a small bowl. Pour wet into dry and mix with a spatula until fully incorporated. Add in your choice of dark chocolate/carob chips, dried cranberries, walnuts, almond, raisins etc. Bake for 12-15 minutes. Let cool on sheet for 5 minutes.